Children are the future of any country. Discover is active in many schools, involving the children in taking care of hygiene and nutrition and in caring for a garden of nutritious fruit and vegetables and medicinal plants. 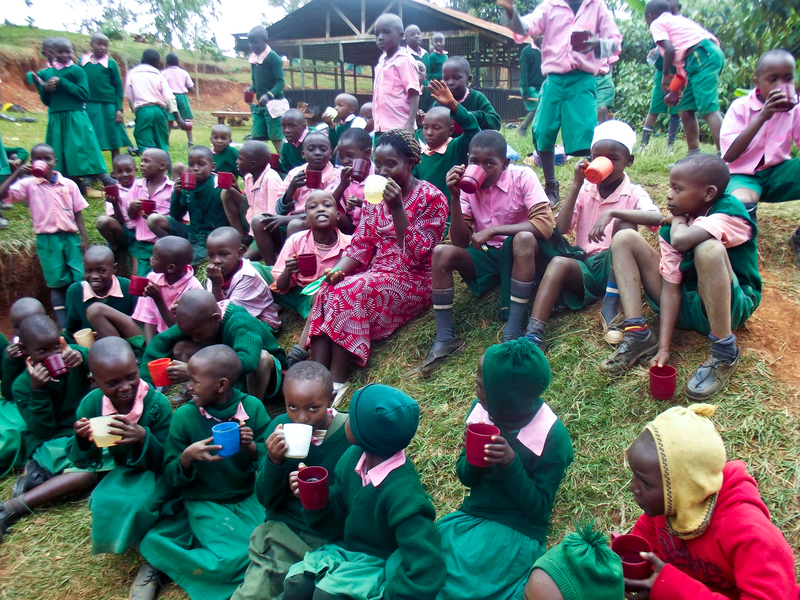 These children are drinking lemon grass tea made with plants from their own garden. Most people in Africa today are not as healthy as their grandparents were, and they do not expect to live as long as they did. This is a shocking situation. It is not only due to diseases such as HIV/AIDS. It is also due to bad nutrition, lack of exercise and high levels of pollution. Toxic chemicals occur in the air, in water, and even in food, due largely to the excessive use and misuse of agricultural chemicals. Inadequate health servivces also play a role, which is particularly serious because the traditional knowledge of healthcare has largely been forgotten. Further, climate change is causing droughts, and flooding, with the result that many families suffer a lack of food and clean water. c) to identify their needs and to decide how they can best be met. b) in making peace and building bridges between alienated groups. Discover is managed by a small group of volunteers based in Germany. The most important work is done by Discover partners in families and communities in Africa. Click here to download our flyer, which includes our mission statement and gives some examples of our work.